Marked deck of cards are playing cards looks identical to the regular poker cards, however, due to their specialities and they have a name "Marked Cards", to date this term has been altered by poker sharks sometimes. Sometimes, the poker player, poker club or casino owner will use these cards for different purposes. Some poker players will try to cheated this magic marked cards, while some poker club or casino owner prefer to use this cards to surveille those players to protect the justice of the game, and some cards are imperfect due to the manufacturing mistake. Here comes a question, how they to read the marked cards? The marked cards are produced from various factors and there are various kinds of marked cards for sale in market. 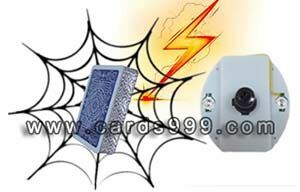 Such as ultimate marked cards, imperfect deck, contact lenses marked playing cards, barcode marked deck of cards. How to read these deck of cards? For different marked deck poker, the detect ways are different. The ultimate marked cards usually processed with the playing cards which have irregular design on the backs, the Bicycle playing cards is the best choice. 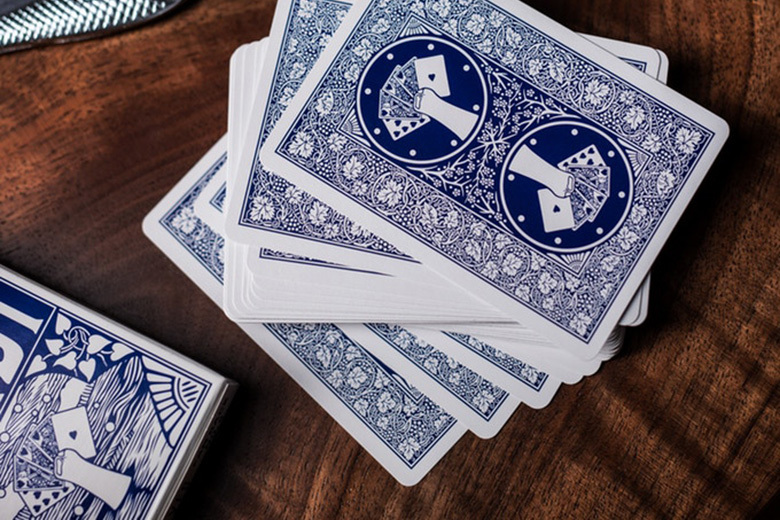 With an ordering system to order the suits of cards, mark them to stand for Clubs, Hearts, Spades and Diamonds. These markings is very small and if do not check very very carefully, no one can know the secret except the one use them. The ultimate marked decks can be detected by normal eyes, but keen eye is required. Usually, the Imperfect Deck means that the cards has inconsistencies in the pattern, a misshapen edge or duplicated cards within the pack or misc manufacturing faults. When in a poker game, the Imperfect Cards will be found and replaced quickly in most of time, however, if the imperfect is very subtle and dealer is has not find it, the players with a keen eyes may be will take this advantage and work them in their favor. 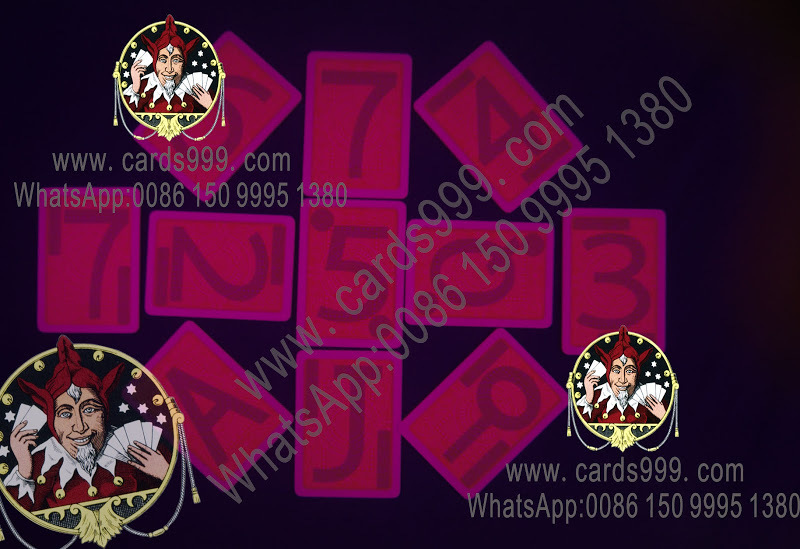 Different from the ultimate marked cards and imperfect decks, the marked cards are made with perfect standard cards and luminous ink, burn the luminous infrared ink onto the back of cards with special markings, usually the special marks stands for suits and big font stands for number. 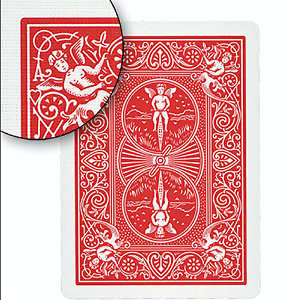 The secret of these magic marked cards are invisible to normal eyes, only the special luminous ink reader can detect it, such as the luminous ink contact lenses or infrared ink glasses. For poker sharks, they can use this advantage to know the cards their opponents have and easy to decide how to bet in game; for poker club or casino owner, they can know what cards the players get and protect the game processing fairly, in case of the poker player change cards during the game. Barcode marked deck of cards is similar to the contact lenses playing cards in some ways, but this is undetectable by normal eyes even infrared contact lenses or luminous ink glasses instead of special poker scanner camera. With the stringent card marking printer machine which can coated the luminous invisible ink on edges of each piece of cards, the invisible ink barcode would marked on the edges of playing cards, if the poker camera scanner scan them, the analyzer system will receive the barcode data and calculate the poker game result that which hand will be the first winner and second winner or the ranking of all players immediately. This card is very suitable for Texas Holdem, Omaha and other poker games. With this advantage, the user can know how to make big interest in the games. Besides, it is said that there are newest and advanced device that can see through the standard playing cards, they are the X ray contact lenses and X ray glasses. However, if they really can work, why no one can use them? In the poker game, if the X ray lens and X gamble glasses can see through the playing cards, why they can see the number and suit of the cards only? What about other things? What is the meaning of see through? May be in near future, this technology can be developed, but now, the so-called X ray contact lenses, means they has magic power that can detect both IR and UV invisible ink marked playing cards.